Martin Theodore Ward (1799-1874) was theson of William Ward, the engraver, and a nephew of James Ward. 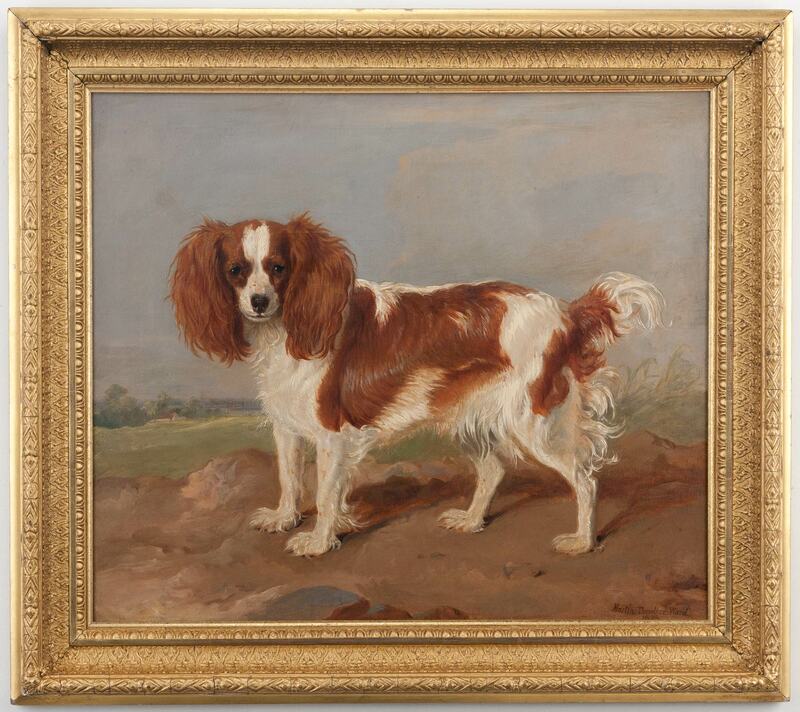 He studied under Landseer, although his work was much influenced by his uncle and exhibited at The Royal Academy between 1820 and 1825. Spending some of his time in Shropshire, he returned to Yorkshire around 1850 and lived there as a recluse until his death in 1874. His portrait of a pointer was printed and published in 1831. This portrait is painted in oil on canvas and in a period gilt frame. Signed and inscribed M.T. Ward and dated 1825.